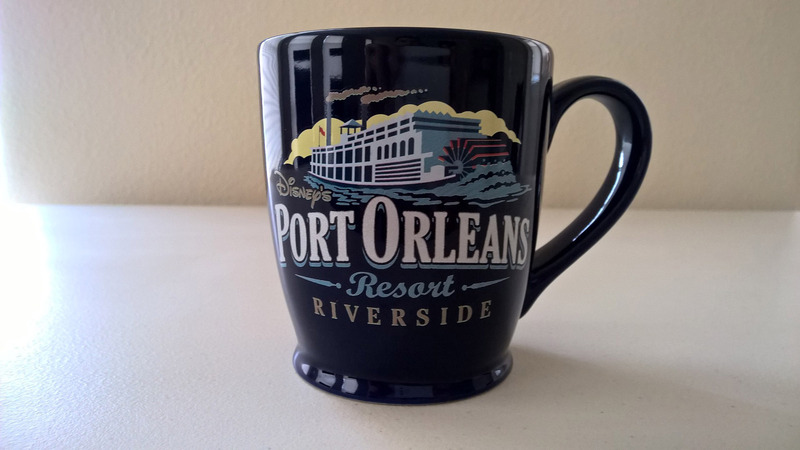 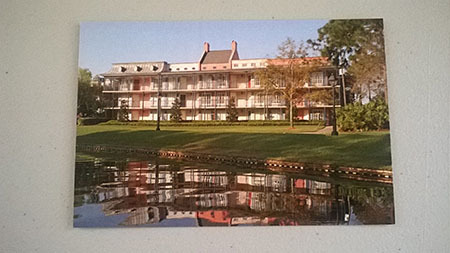 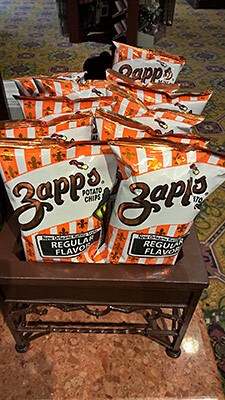 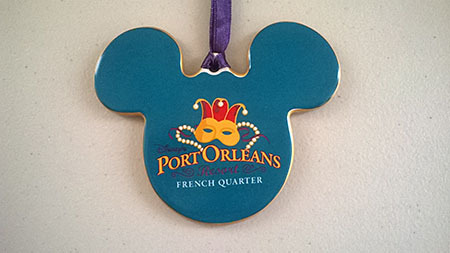 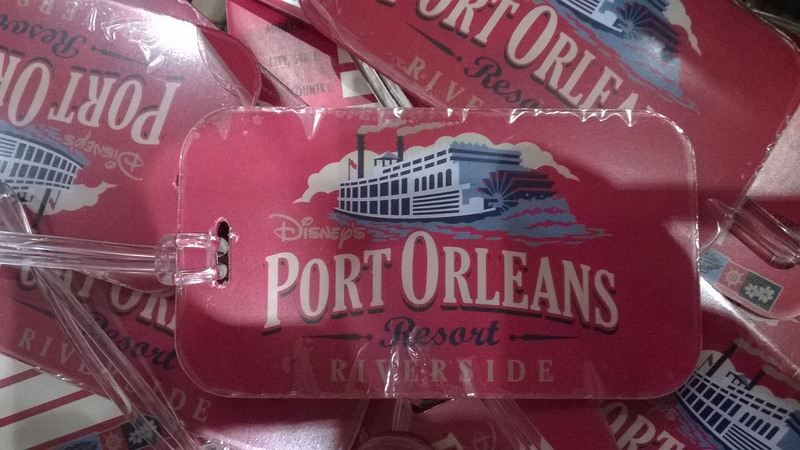 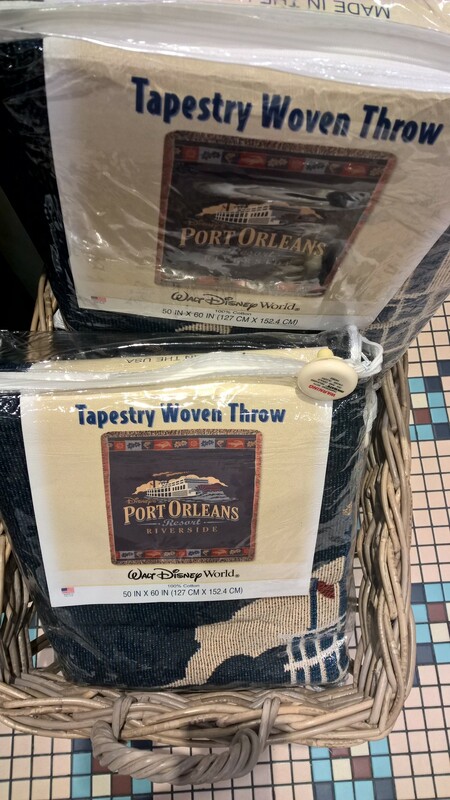 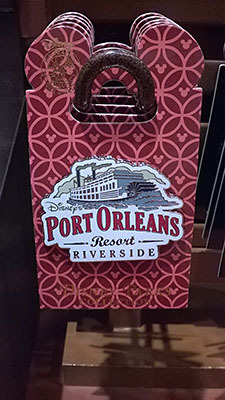 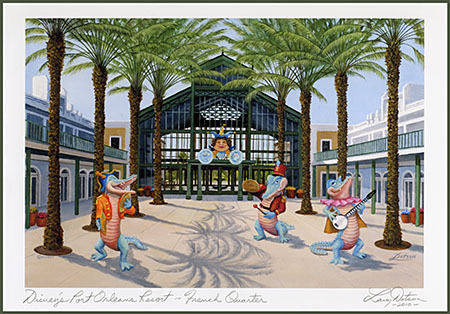 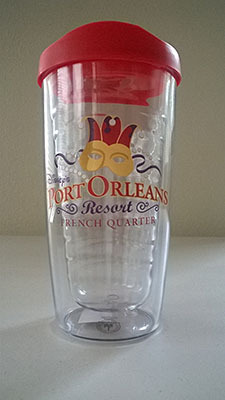 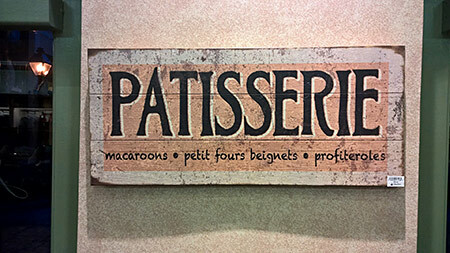 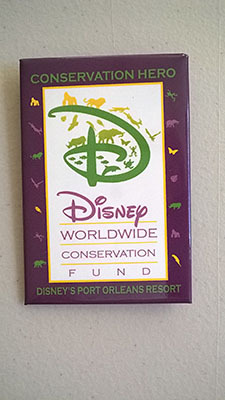 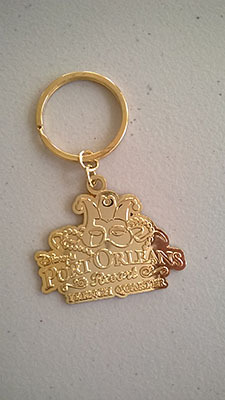 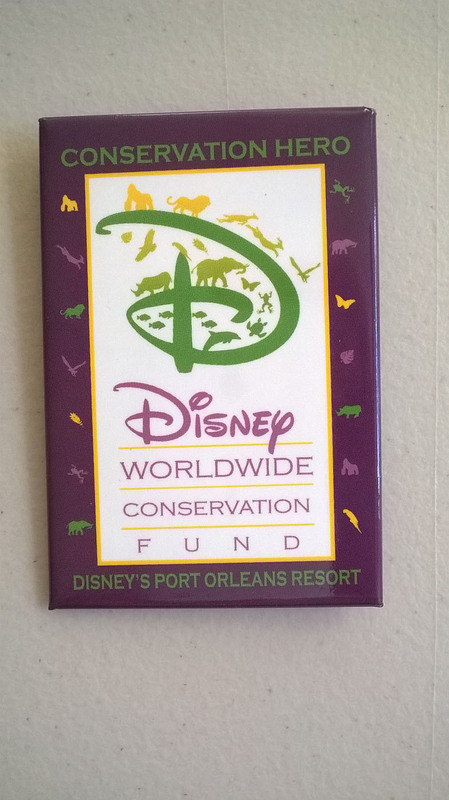 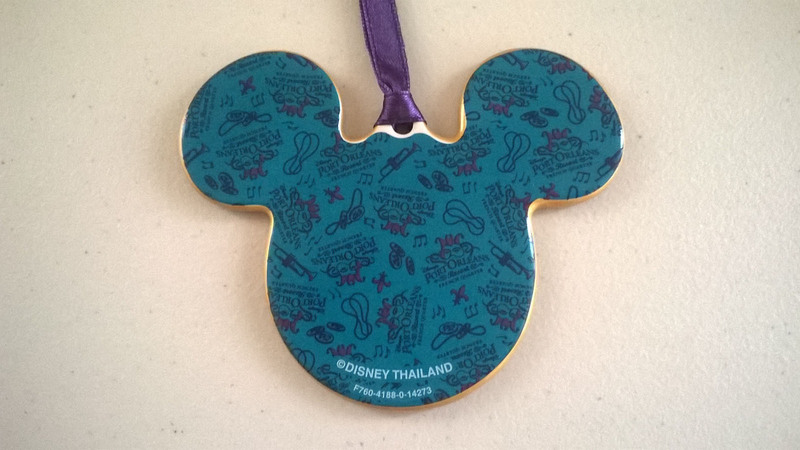 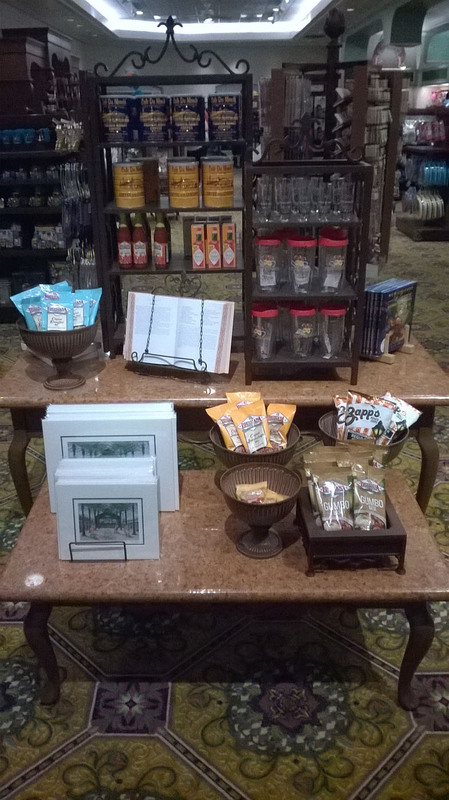 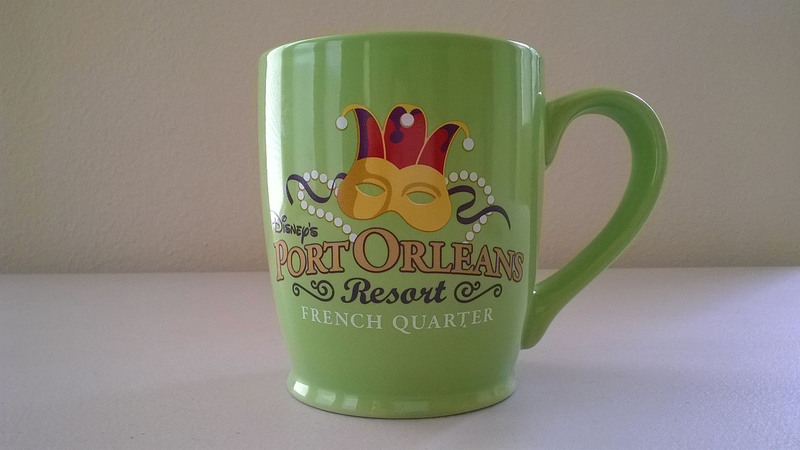 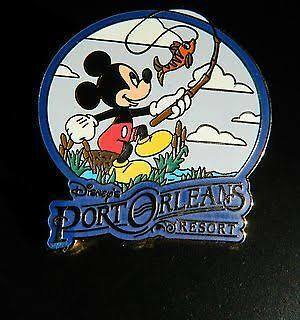 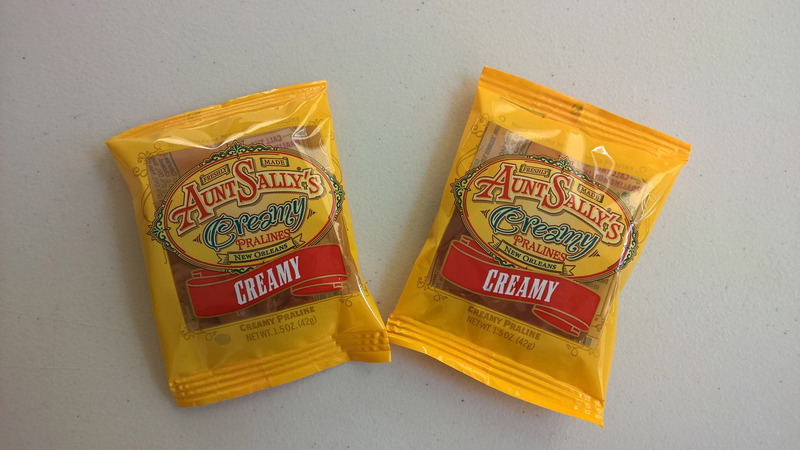 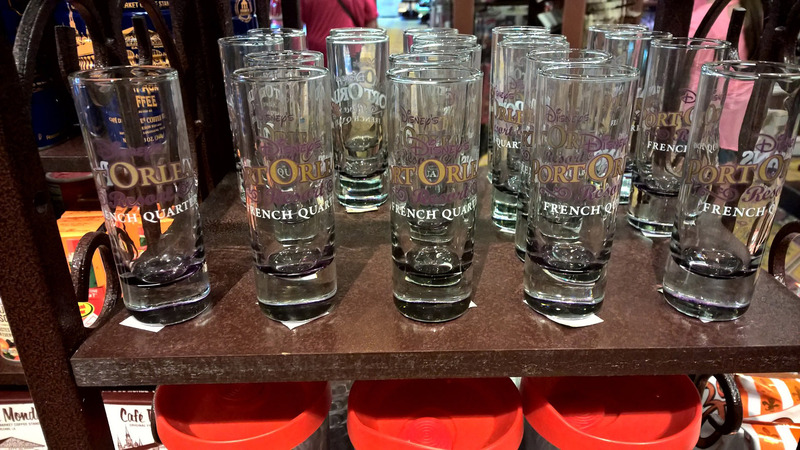 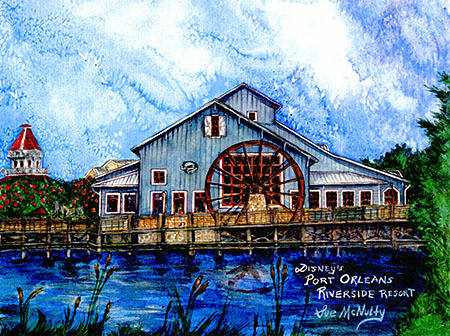 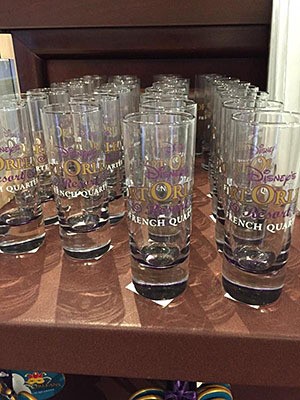 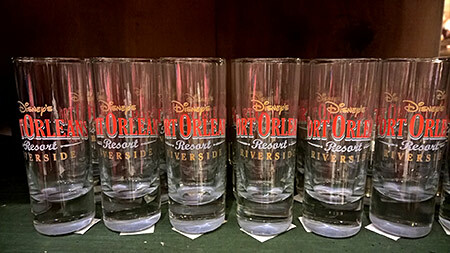 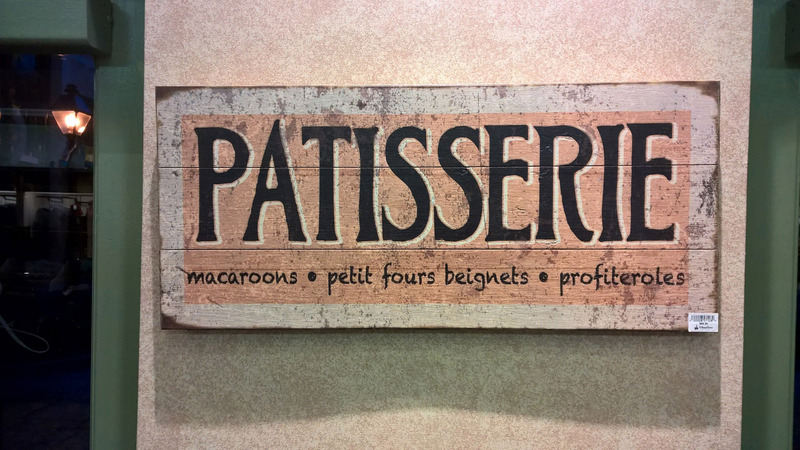 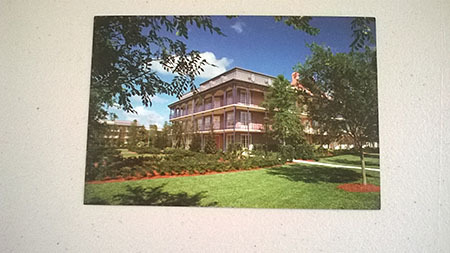 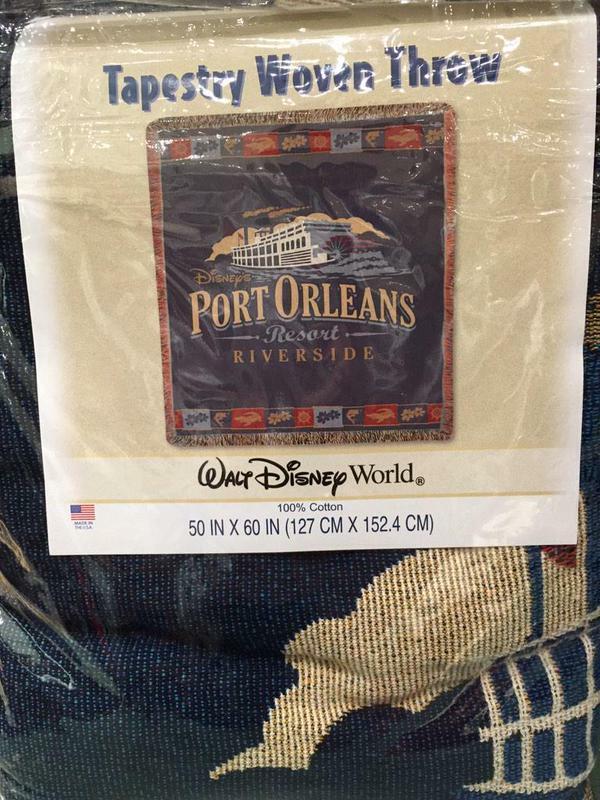 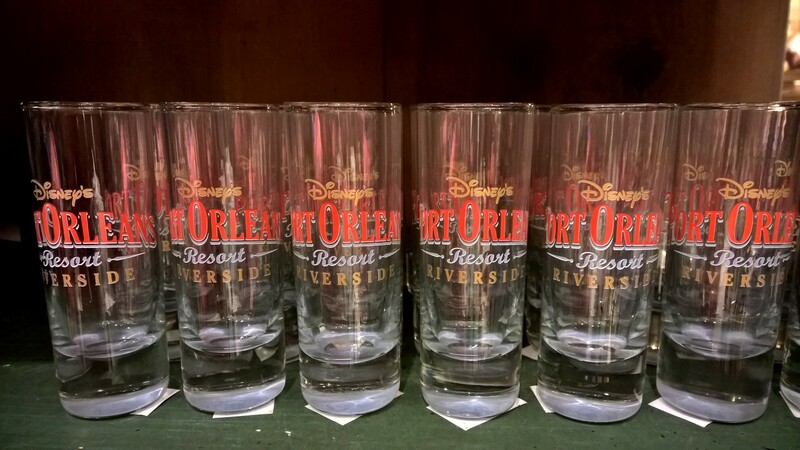 Until very recently, the general homogenisation of product ranges across Disney Parks had meant that there’d been precious little by way of unique or collectible souvenir merchandise available at the Port Orleans resorts. Thankfully, as of January 2015, that is finally starting to change. 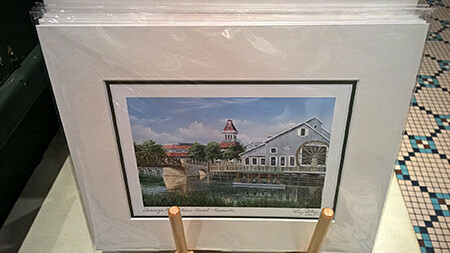 Newly arrived products include mugs, glasses, tumblers, luggage tags, throw rugs, baseball caps, pin badges, ceramic ornaments, artwork, and more. 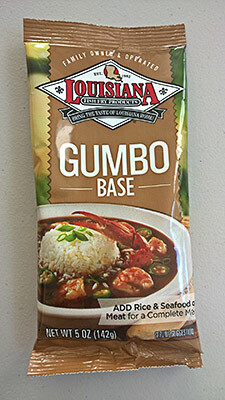 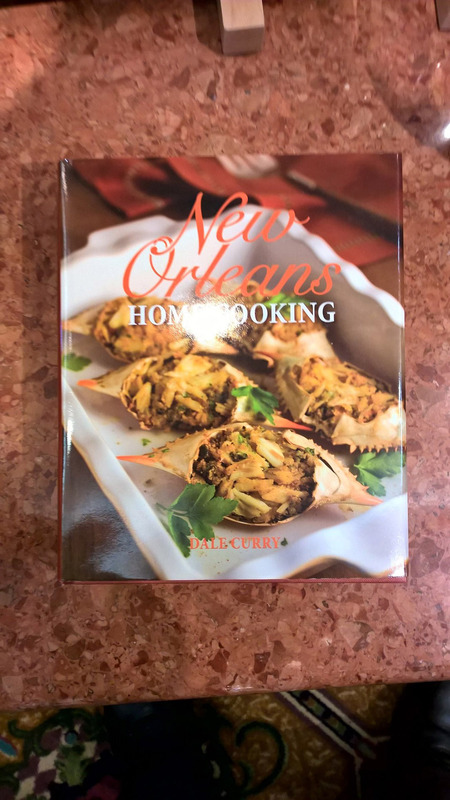 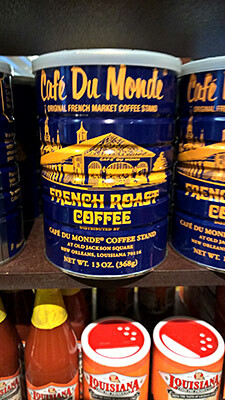 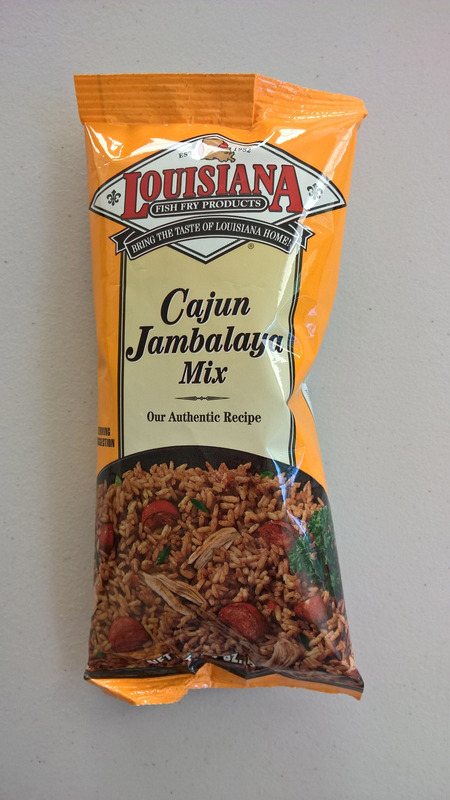 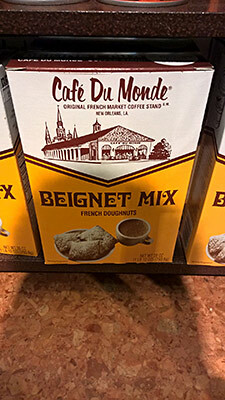 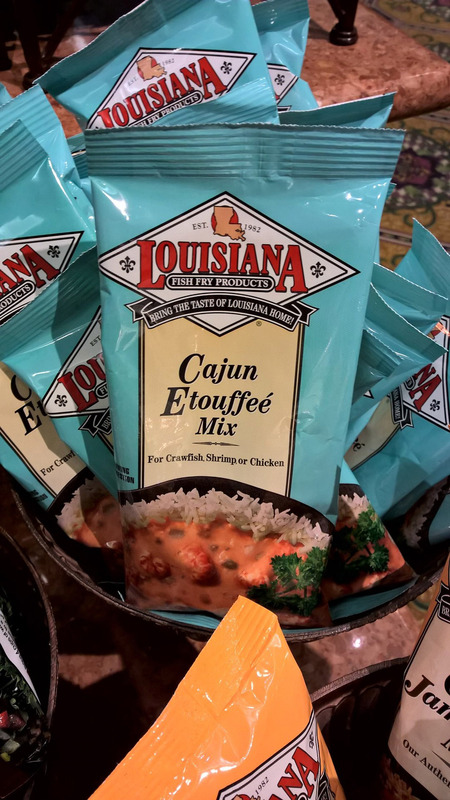 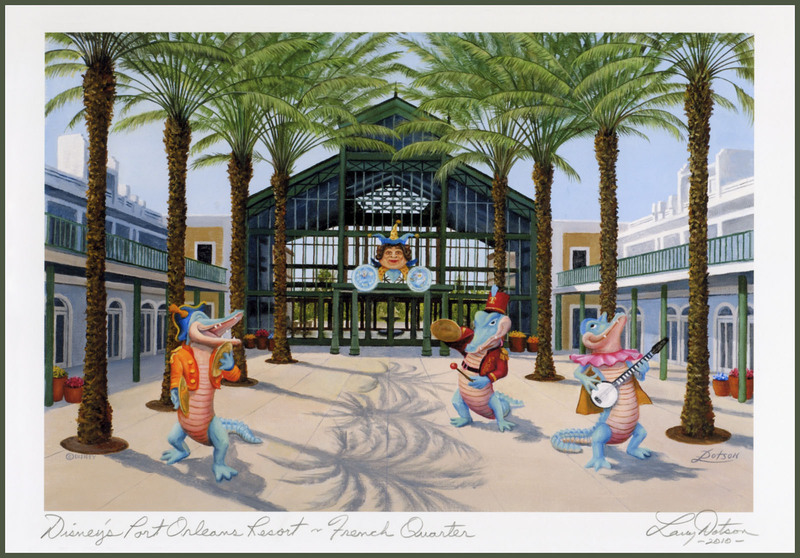 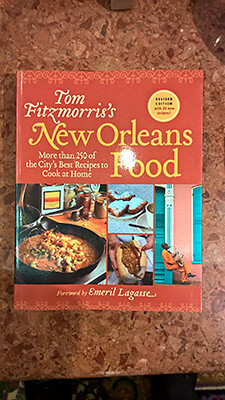 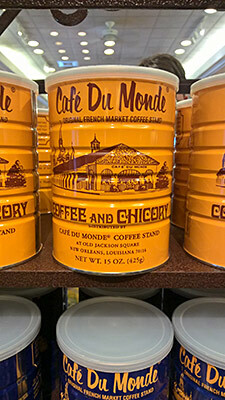 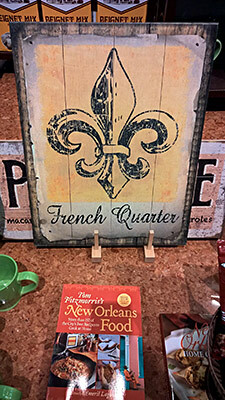 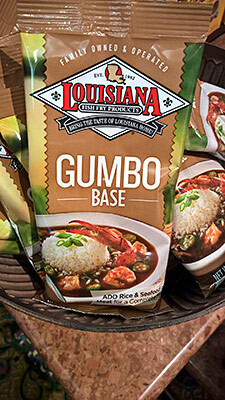 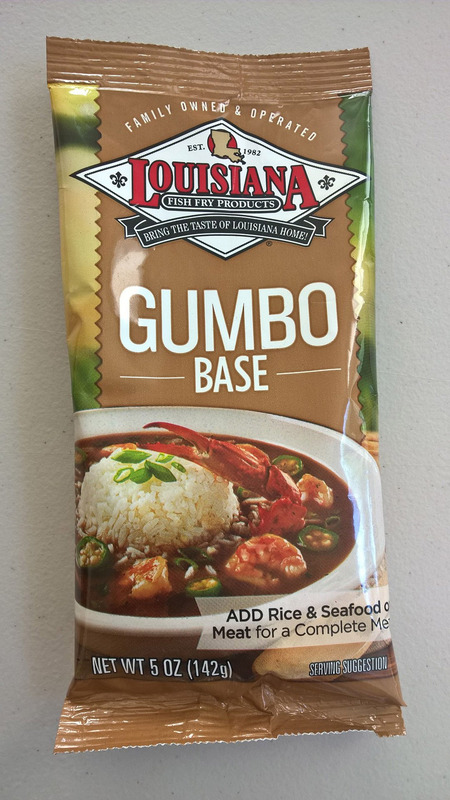 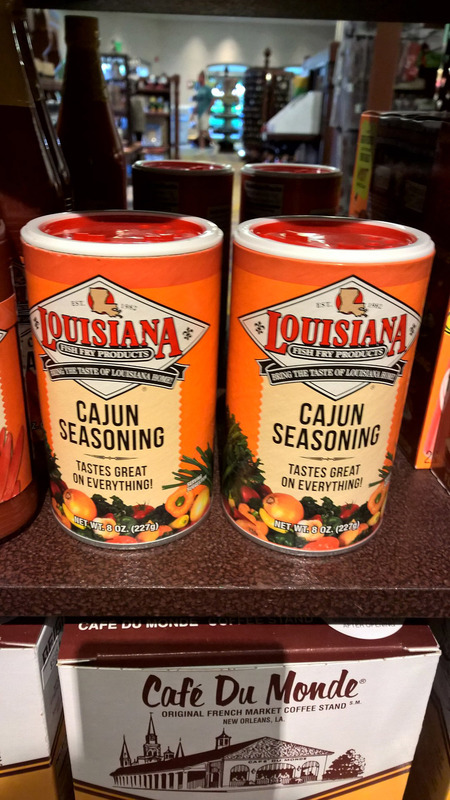 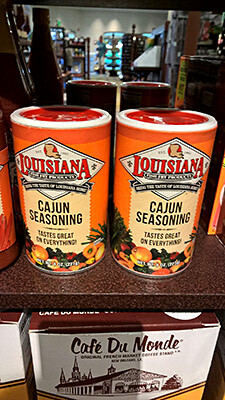 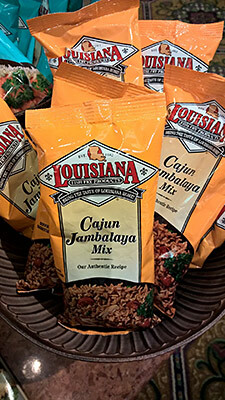 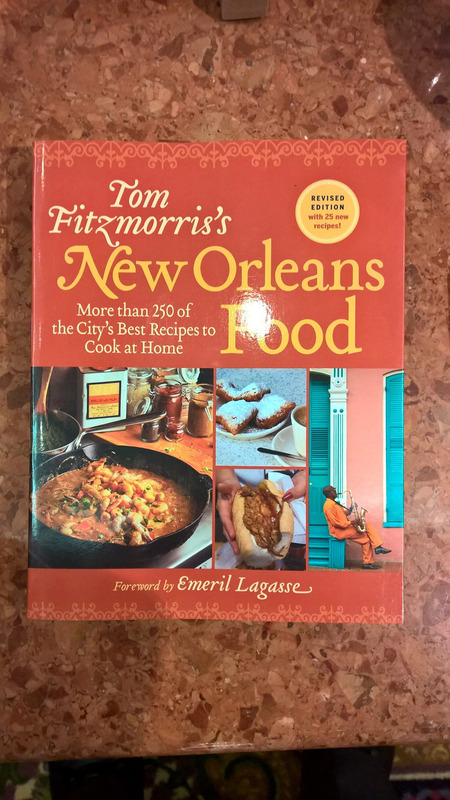 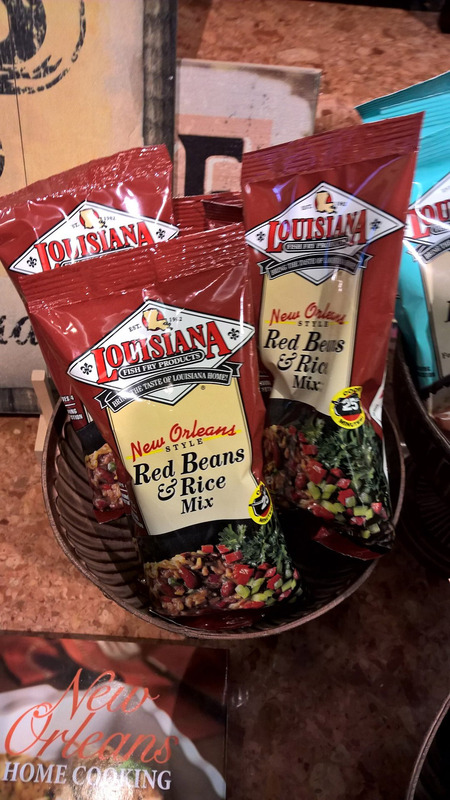 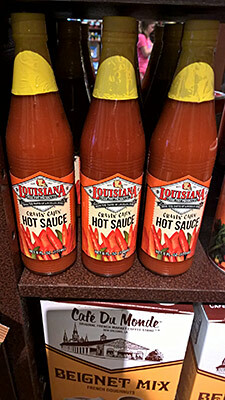 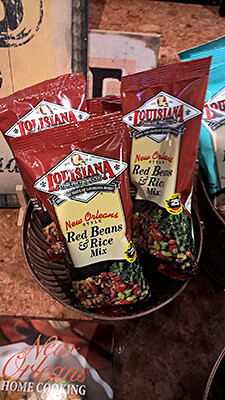 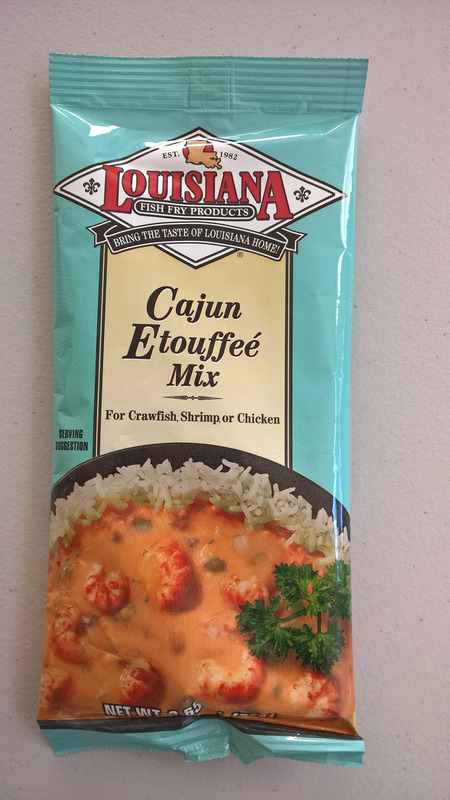 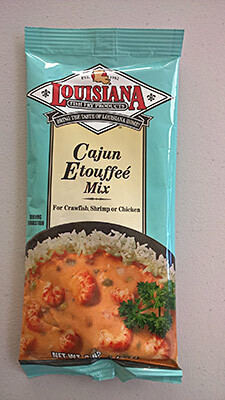 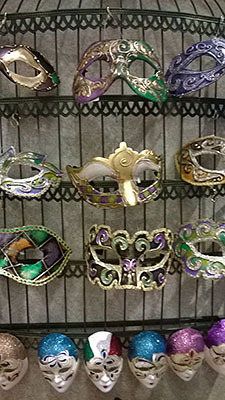 Plus at French Quarter you'll find an assortment of New Orleans/Mardi Gras style food, condiments , recipe books and fine-art masks. 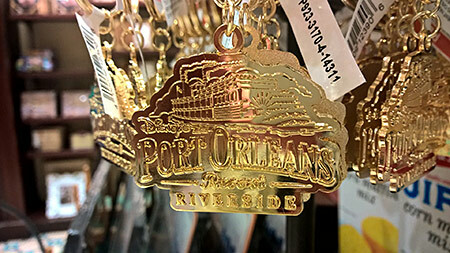 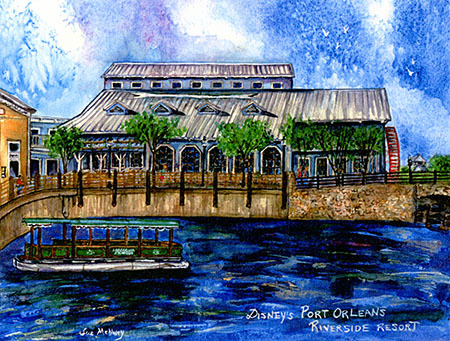 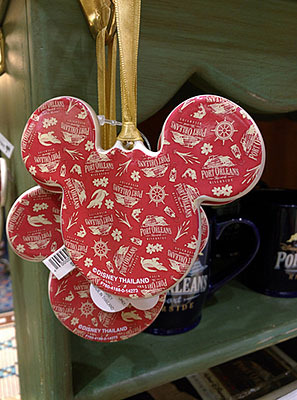 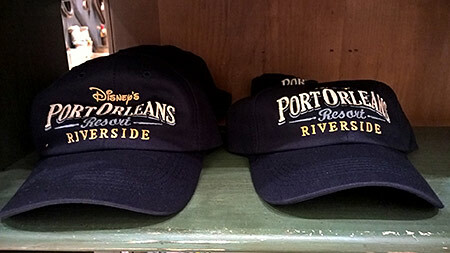 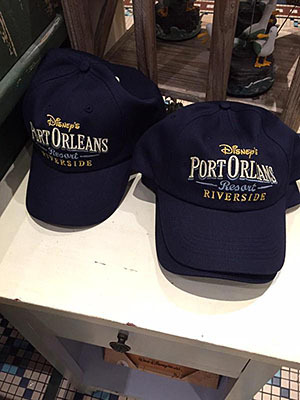 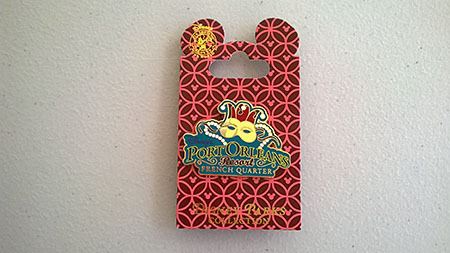 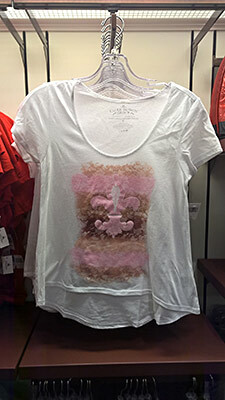 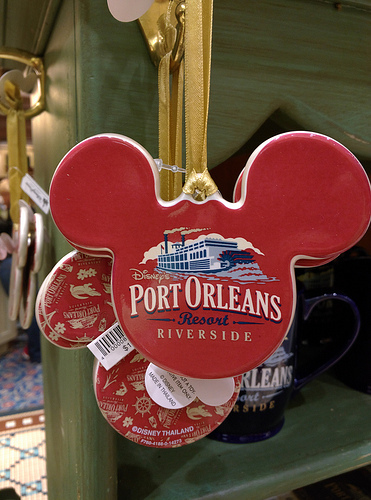 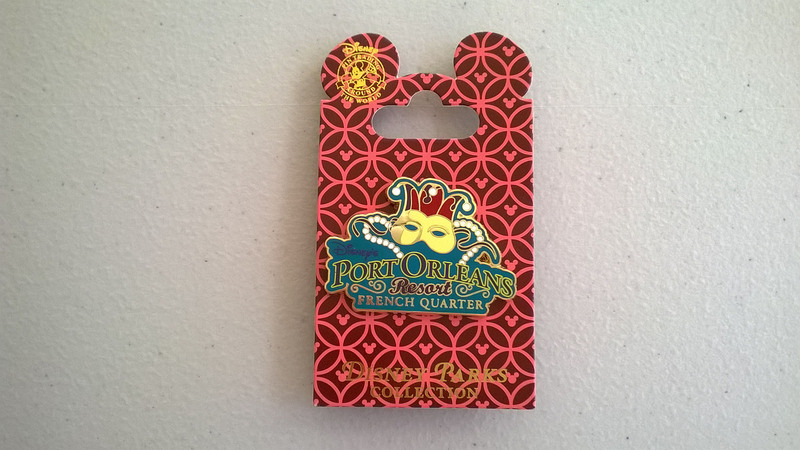 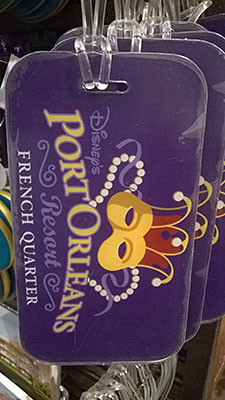 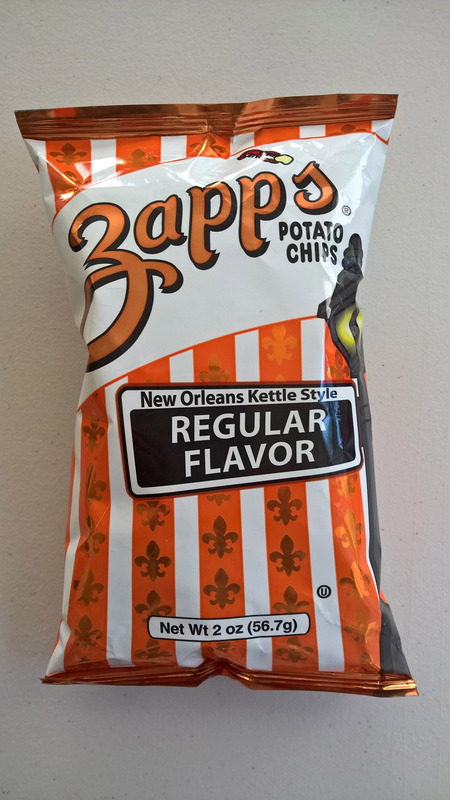 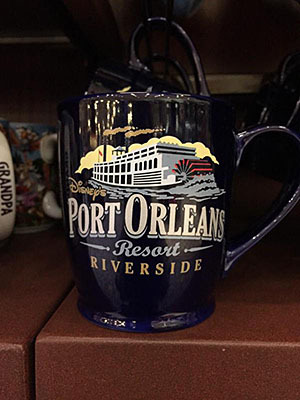 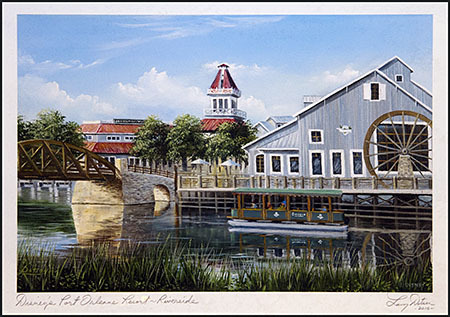 This new merchandise can be purchased at either of the two Port Orleans gift shops — Fulton’s General Store and Jackson Square Gifts & Desires — or, with the exception of the customised masks, by mail order by contacting Merchandise.Guest.Services@DisneyParks.com (407-352-6369 or 877-560-6477). Most of the following photos were kindly provided by a cast member who works at the resort, thank you very much indeed for your help. Also several of the Riverside items were posted by Bret+ (@Schmoofy on Twitter) and are included here with his permission. 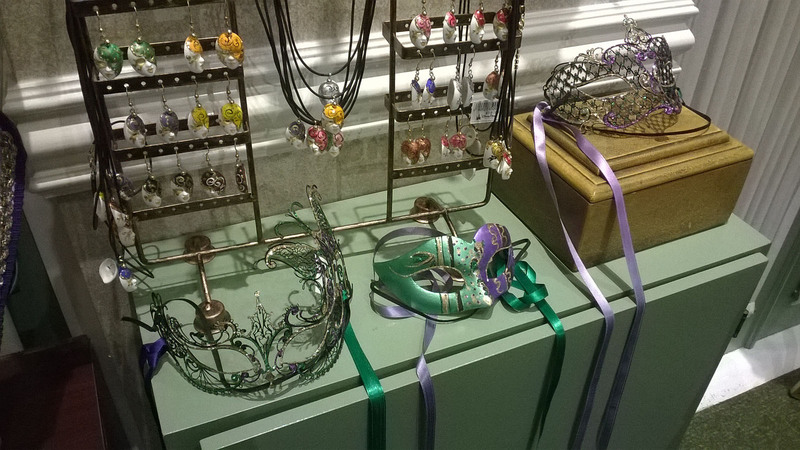 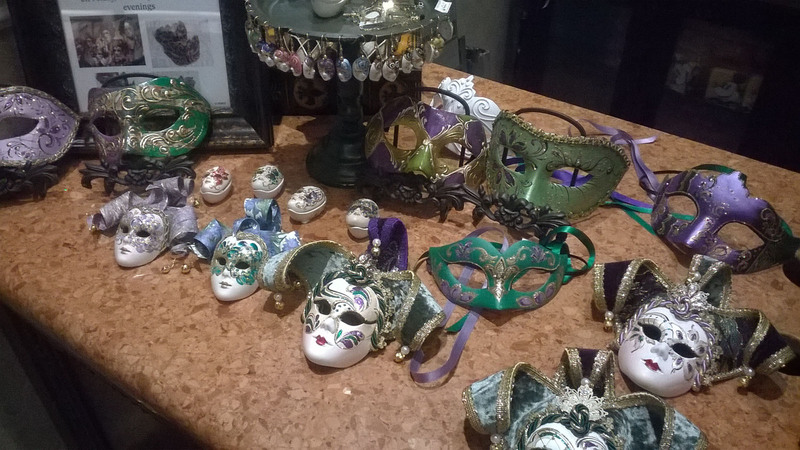 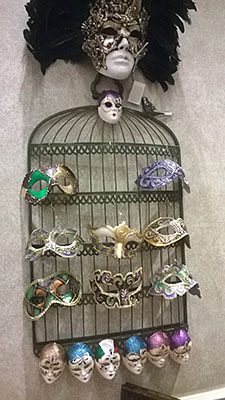 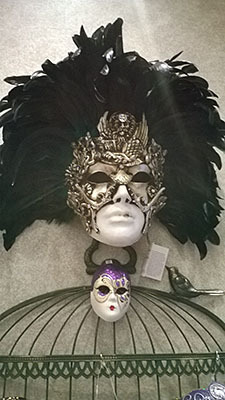 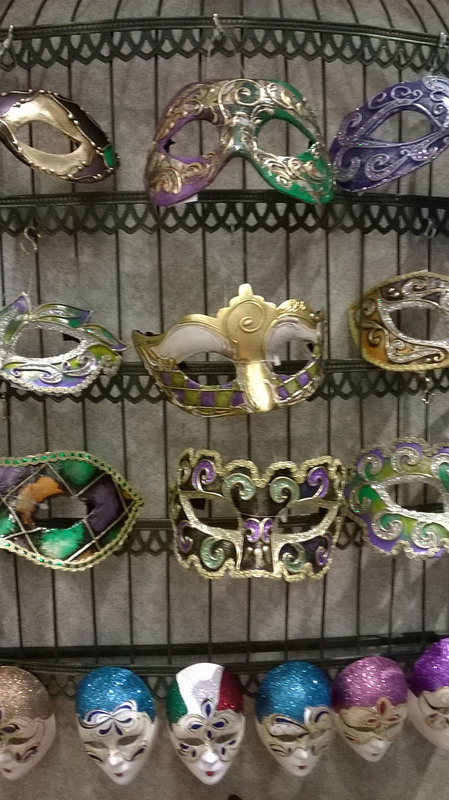 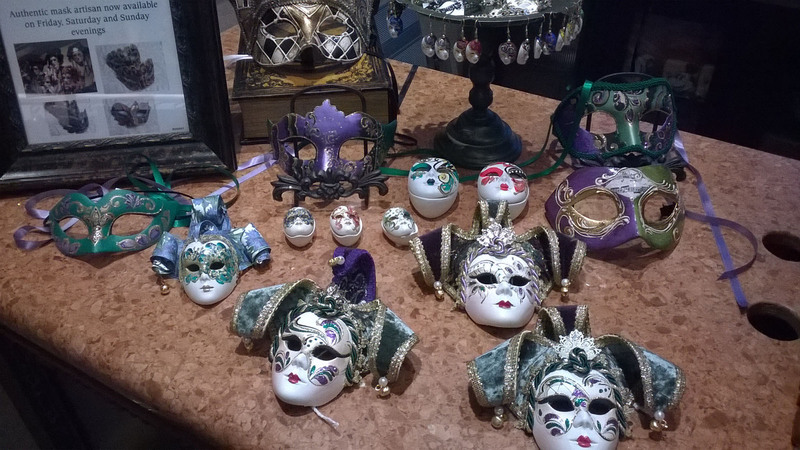 French Quarter has also recently started selling a range of ornate Italian-designed masks, evoking the spirit of Mardi Gras. 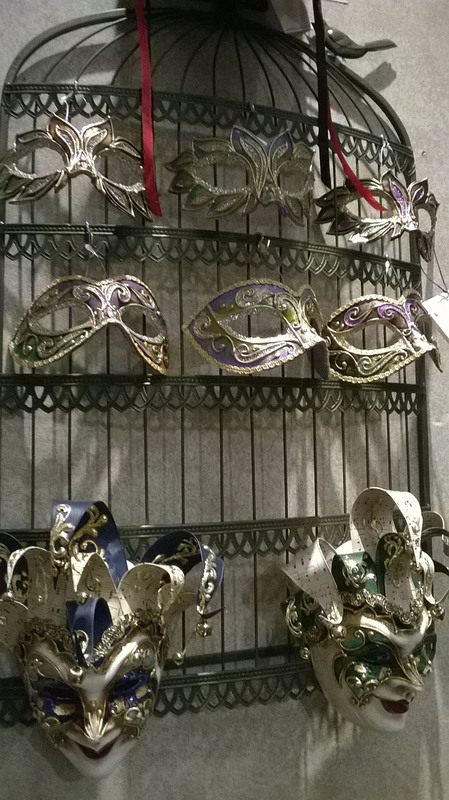 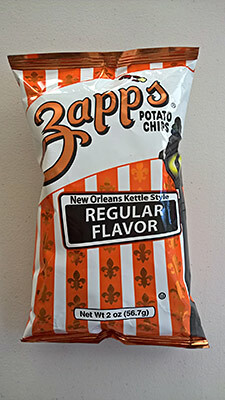 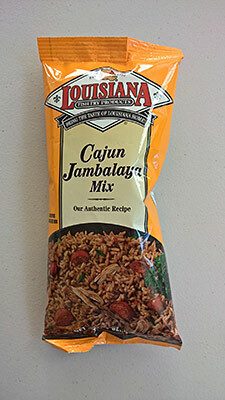 These are supplied by the same family-owned business that provides the masks for the Italian pavilion in Epcot. 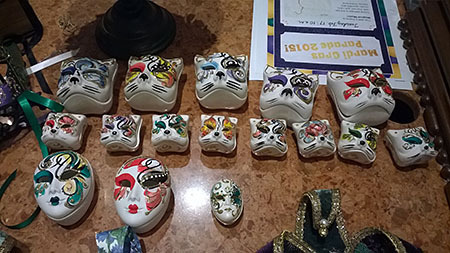 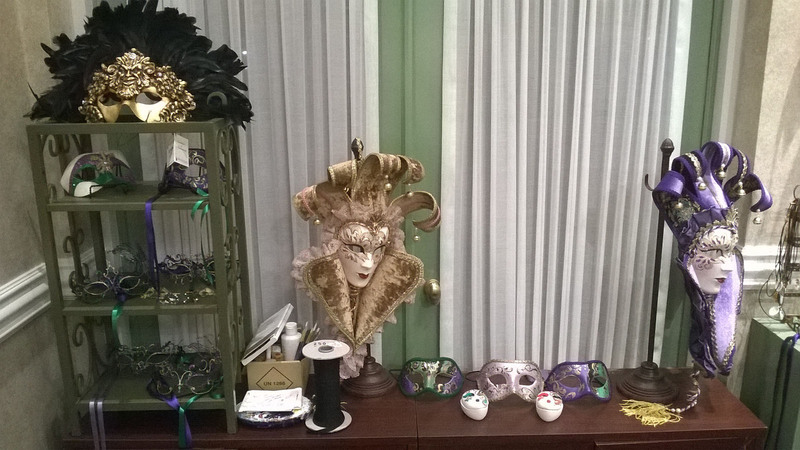 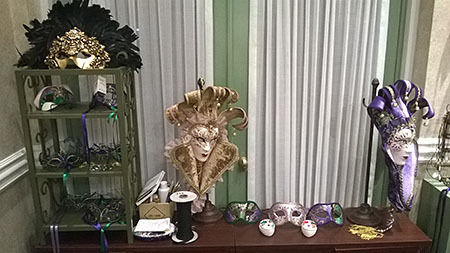 Every Friday, Saturday and Sunday an artist from the pavilion, who also works for the family back in Venice, will be present at Jackson Square Gifts & Desires to custom paint the ceramic masks for guest orders. Note: Some of the following items were limited stock, and may now be sold out. 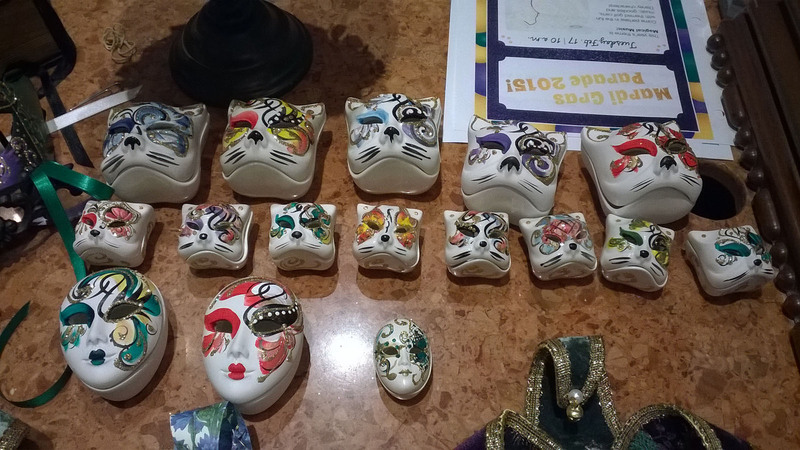 Ceramic Jewelery Box (resembling the Laser Cut Masks): Small $15.00, Large $?? 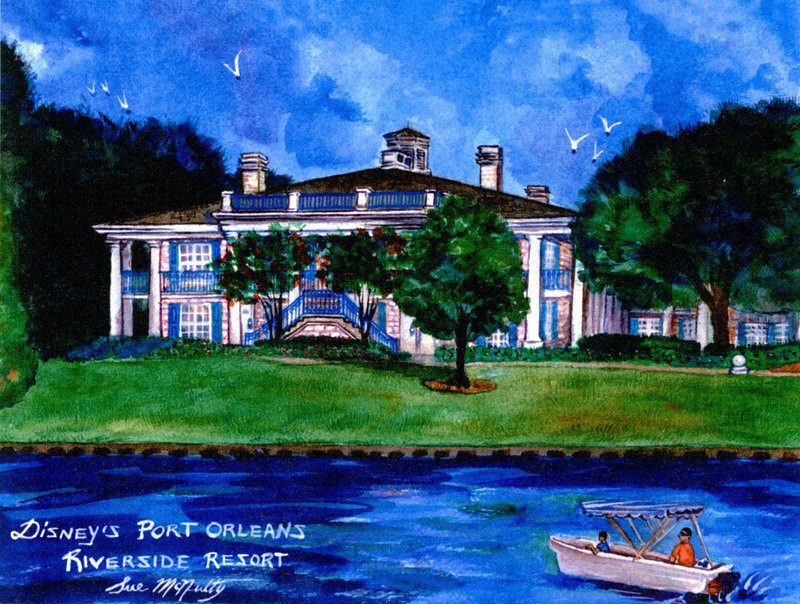 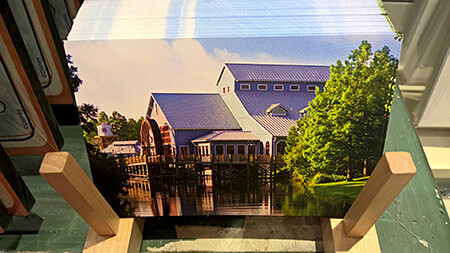 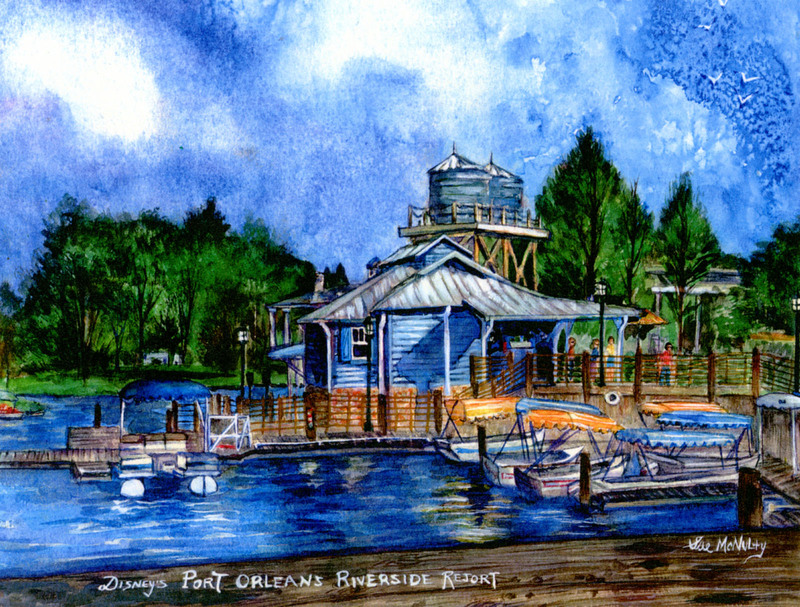 Two very nice keepsake items are specially-commissioned landscape paintings created by artist Larry Dotson. 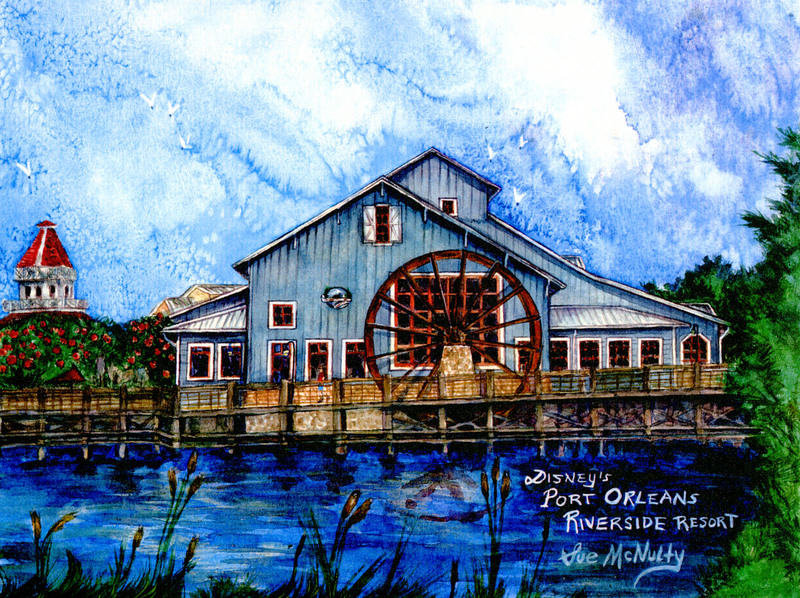 Prices vary, with a 10" x 8" print currently costing $35 and a 7" x 5" print for $25. These are high quality eight-colour giclee prints, matted and hand-signed by the artist.